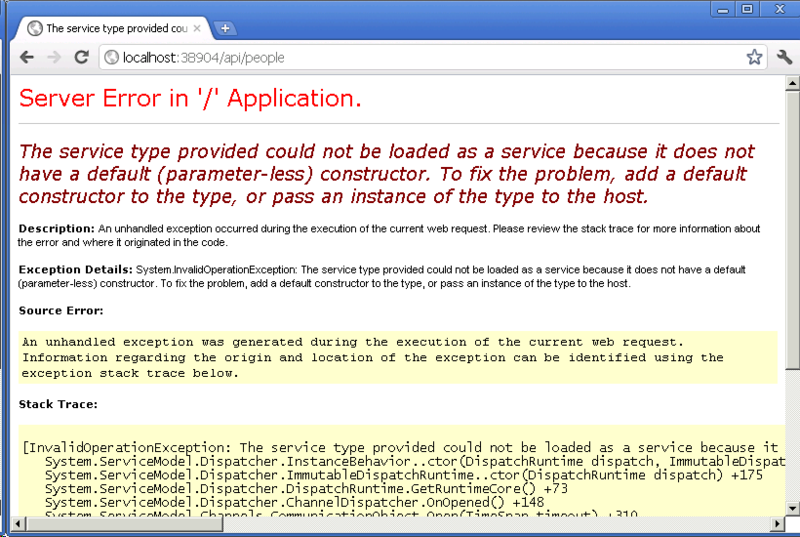 How many times you face an error message like this one when you are working with WCF? Many times I guess. On WCF Web API, this is not a big deal on the development stage because Web API runs on core ASP.NET and debugging is not a big deal (maybe it is not a big deal on WCF as well but it always for me, anybody knows a good debugging scenario on WCF, please let me know). But when you expose your data and your customers starts to consume your service, you will pull your hairs when you see this screen. 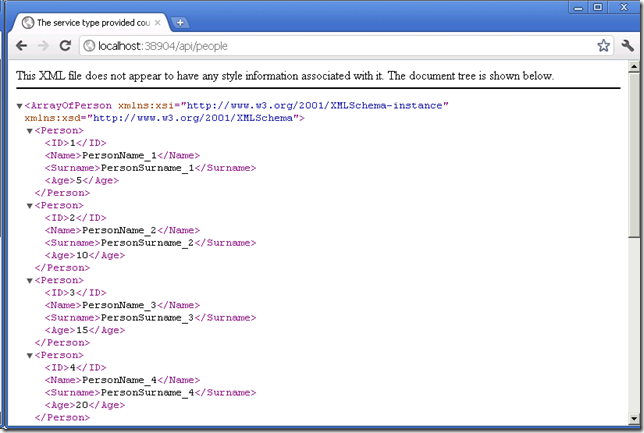 WCF Web API has been built extensibility and testability in mind so it is real easy to plug things into the framework. 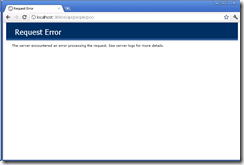 One of the extensibility points is ErrorHandlers and in this quick blog post I will show you how to handle error nicely on WCF Web API. 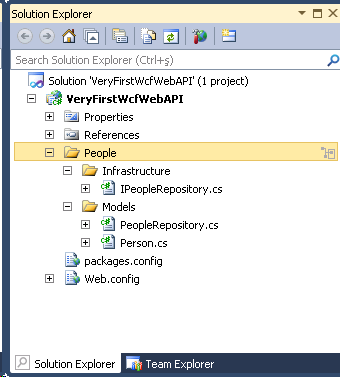 If you haven’t seen my previous blog post on Introduction to WCF Web API - New REST Face of .NET, I encourage you to check that out. What I do here will be addition to that. When somebody tells me the words “Error Handling” and “.NET” in the same sentence, I tell him/her ELMAH in response. 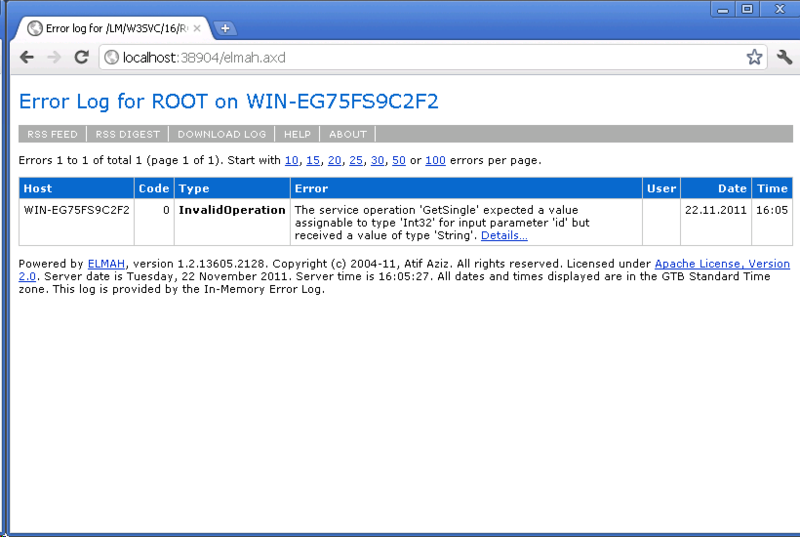 ELMAH (Error Logging Modules and Handlers) is is an application-wide error logging facility that is completely pluggable. 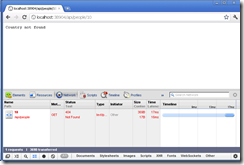 It can be dynamically added to a running ASP.NET web application, or even all ASP.NET web applications on a machine, without any need for re-compilation or re-deployment. These are the official words. In order to integrate ELMAH with our Web API application, we need to bring down the ELMAH via NuGet as we always do for open source libraries. It is a simple method. It returns a single Person data wrapped up inside HttpResponseMessage if there is one and returns 404 if there is no person with the given id value. It is an error so ELMAH should have logged this, right? It didn’t because WCF Web API handles exceptions on its own but good news is you can get in there and plug your own stuff into it. 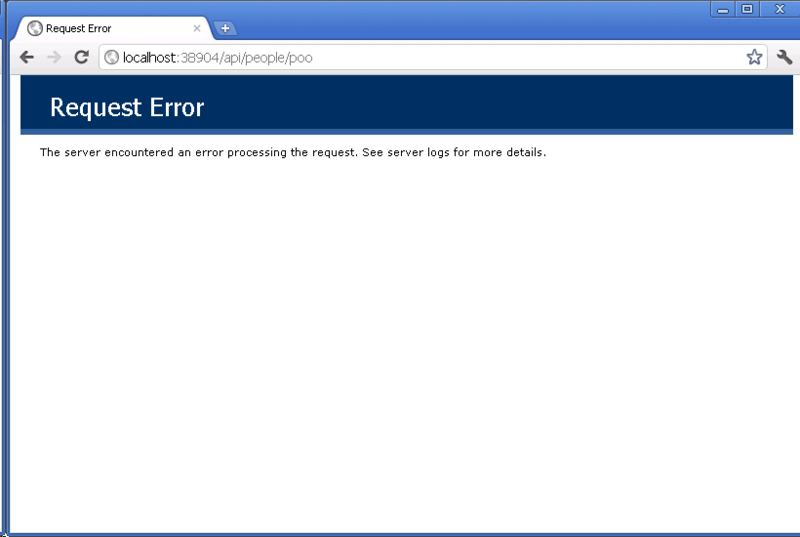 I am still a newbie on WCF Web API and learning it day by day. Also, the framework is at the preview stage (not even Alpha) so the things I explain and show might be not entirely the best case scenarios. We totally nailed it! 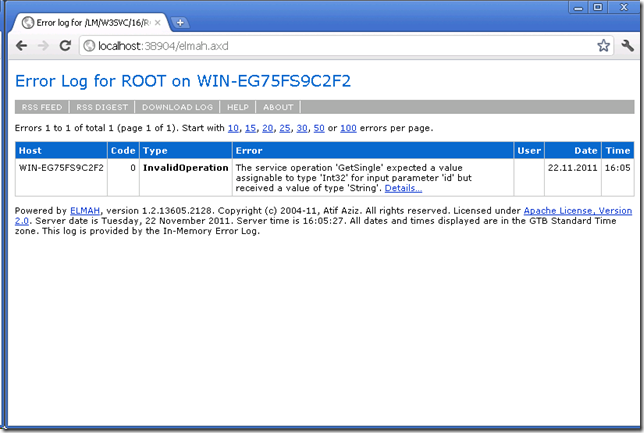 Now, you can configure ELMAH to send you an e-mail when an error occurred or you can log the error inside an XML file, SQL Server Database, wherever you what. 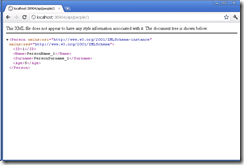 As I said at the end of my previous post, there is so much to cover about WCF Web API. I hope I will blog about it more. 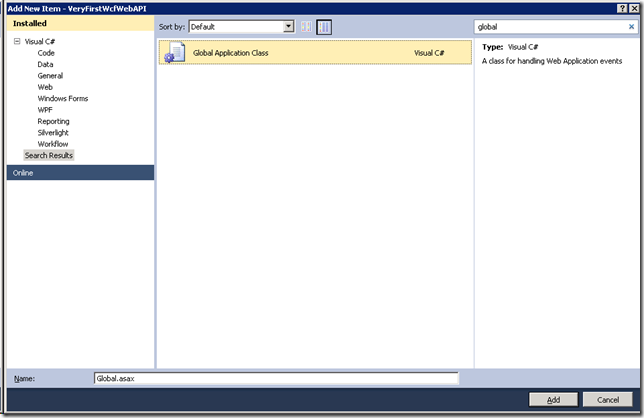 This blog post will give you an introduction to WCF Web API and show you how to get started with WCF Web API along with Dependency Inject support with Ninject. 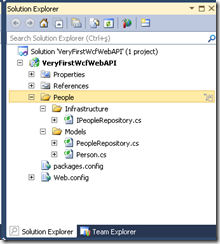 WCF Web API is now ASP.NET Web API and has changed a lot. The beta version is now available. 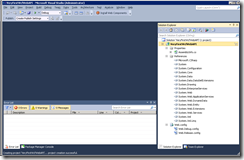 For more information: Getting Started With ASP.NET Web API - Tutorials, Videos, Samples. 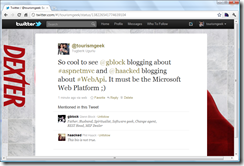 Microsoft Web Platform is evolving. I mean really evolving. Scott Hanselman, Phil Haack, Glenn Block and Damian Edwards are the main actors for this evolution. 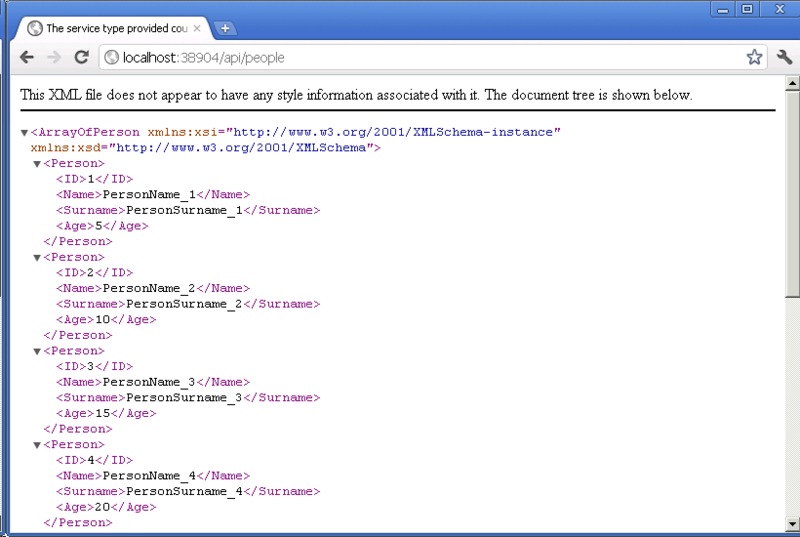 One of the biggest frustration we had as web developers was to face with the endless configurations with WCF. 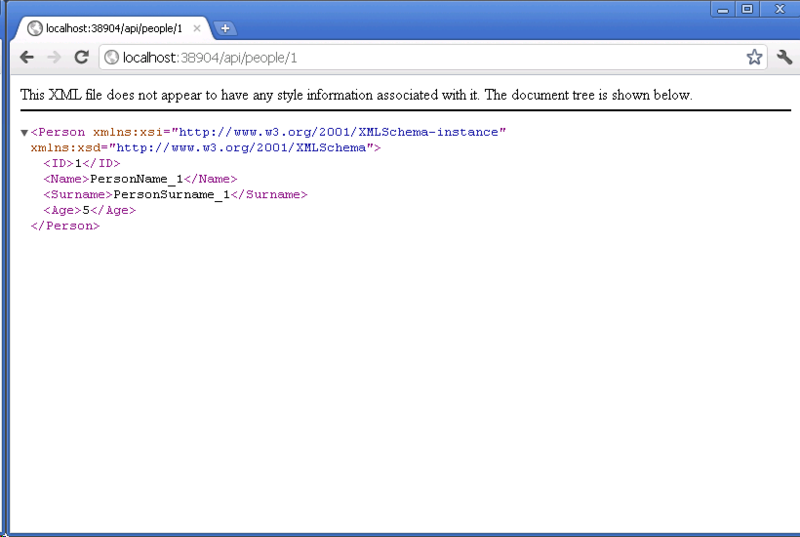 I mean, WCF is great but hasn’t been embraced the REST since the WCF Web API framework. There was something called REST Starter Kit but it ended up dead. 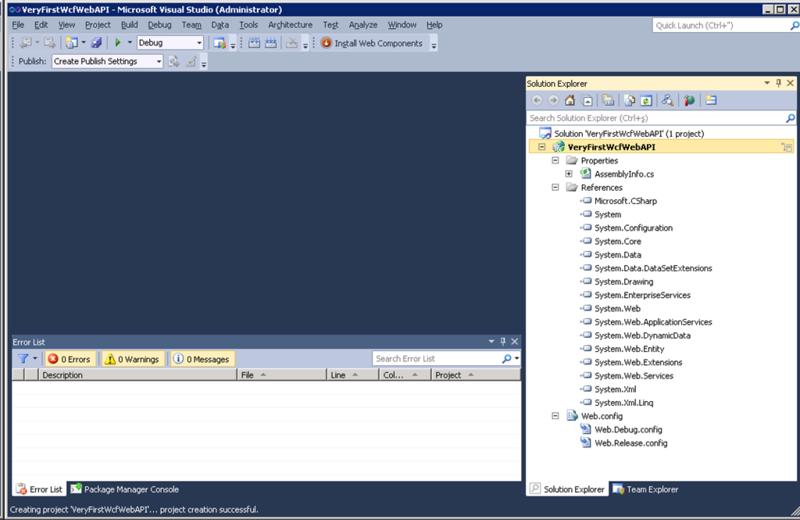 "Making REST a first class citizen in .NET"
The project is still at the preview stage and we are swimming in the dark sea. There are lots of rumors going around about it and most of them are nearly certain to be true. 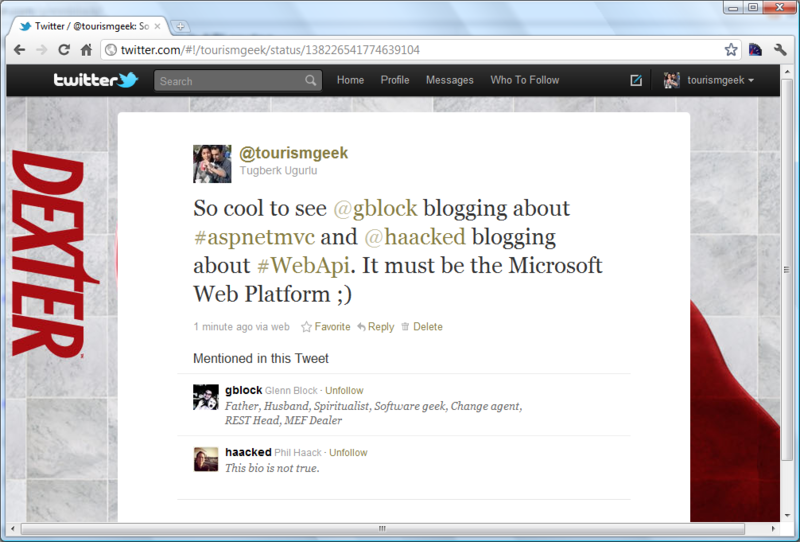 One of them is that WCF Web API and ASP.NEt MVC will be blood brothers in near future. In plain English, they will be merged together. This will be exciting and we won’t feel ourselves in a fork in the road when we need to pick ASP.NET MVC or WCF Web API in order to expose our data over http. Well, when I first saw the WCF Web API, I told myself that this’s it! Why I told that? Because it is extremely easy to get started and going from there. I am interested in WCF as well but its configuration is endless so I haven’t been able to develop a decent project with WCF so far (maybe the problem is me, who knows!). Be careful here though, WCF is not gone! It is still the way to go with for SOAP based services. 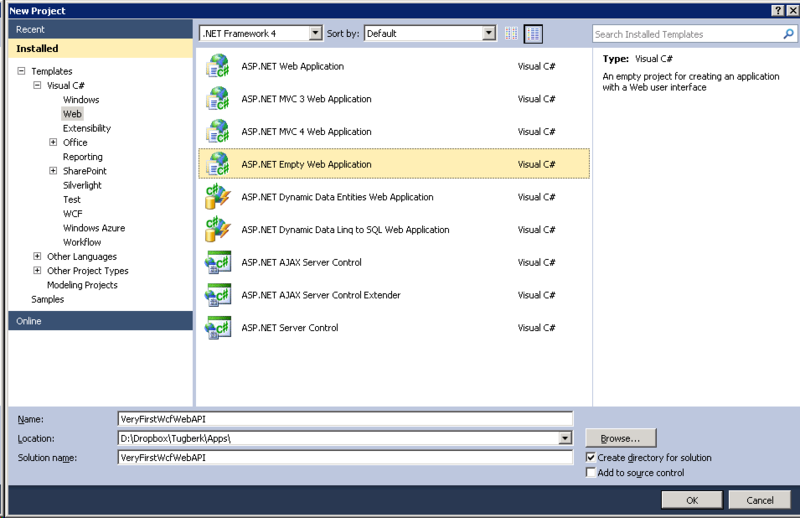 Let’s see how we get started developing a Web API with WCF Web API (this sentence is like a poem ). All the packages we have pulled is individual packages. 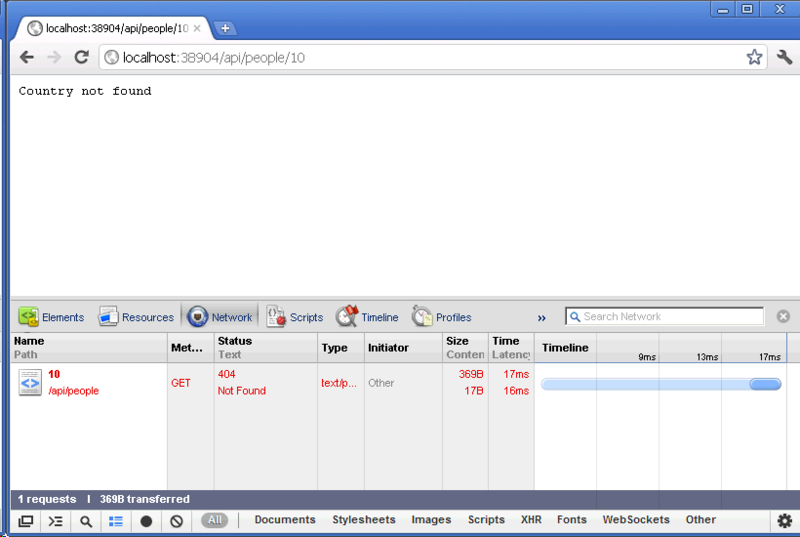 For example, if you are consuming web services on the server side, HttpClient package will help you a lot. I think all of those packages will be baked-in for .NET 4.5 so we will see a lot samples for those. 3 lines of code which is special to WCF Web API. This is awesome. So, where do we configure the stuff. First of all, if you would like to get started you do not need to make any configuration. We will see how in a minute. 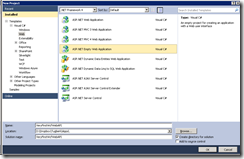 Web API comes with default configuration and this can be overridden in any steps. You can set your default configuration. One of your APIs needs different configuration? Don’t change the default one. Configure it separately. So, it is really a convention. Best part is that it is all done with code, I mean inside Global.asax. I implemented the repository pattern here with an interface. I did that because I would like to show you how easy is to get going along with Dependency Injection (DI) here. 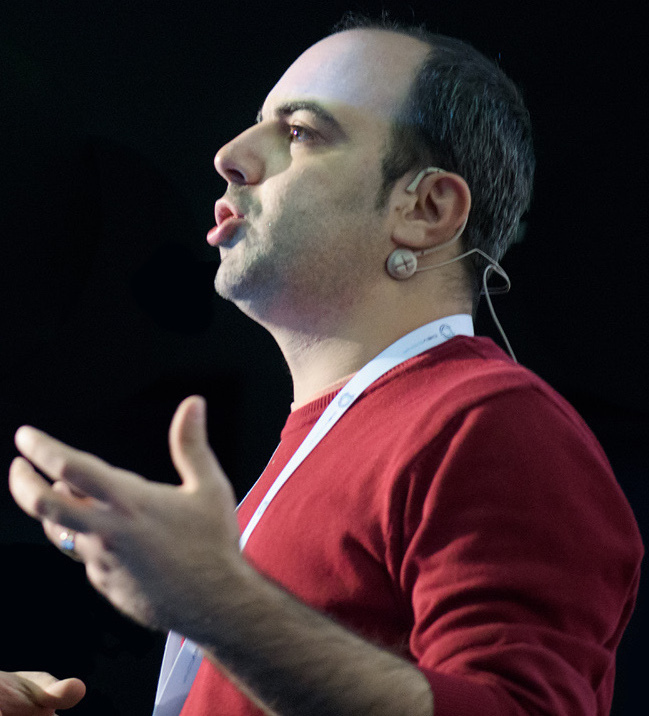 In order to create our API, we need to create a separate class. I put it under People folder and named it PeopleApi but where it stands and what name it carries don’t matter here. 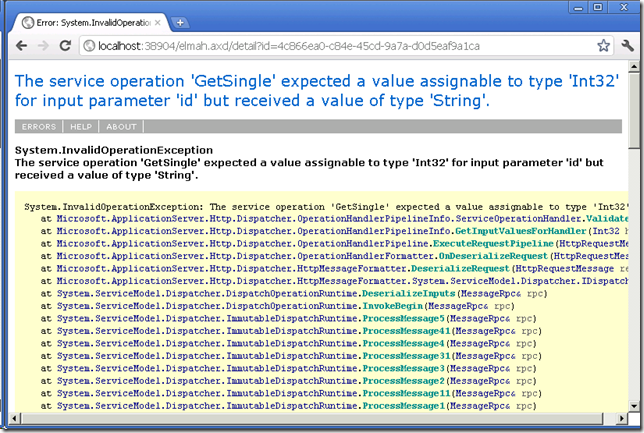 You API class needs to be annotated with ServiceContractAttribute. This is must to do (@gblock said at the //Build conference that we are still in love with attributes but we are trying to get rid of them...). The methods inside your class needs to have some special attributes like WebGetAttribute and WebInvokeAttribute. 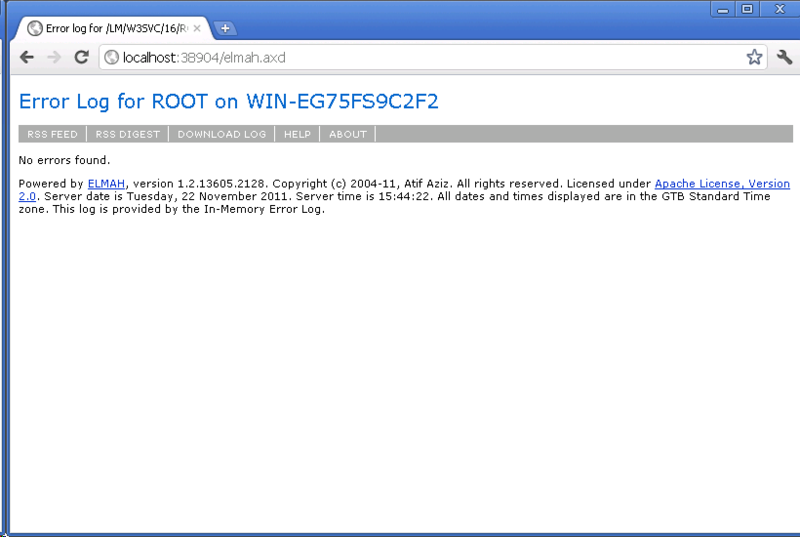 If you put them without UriTemplate property, it assumes that the method is for root of the URL. 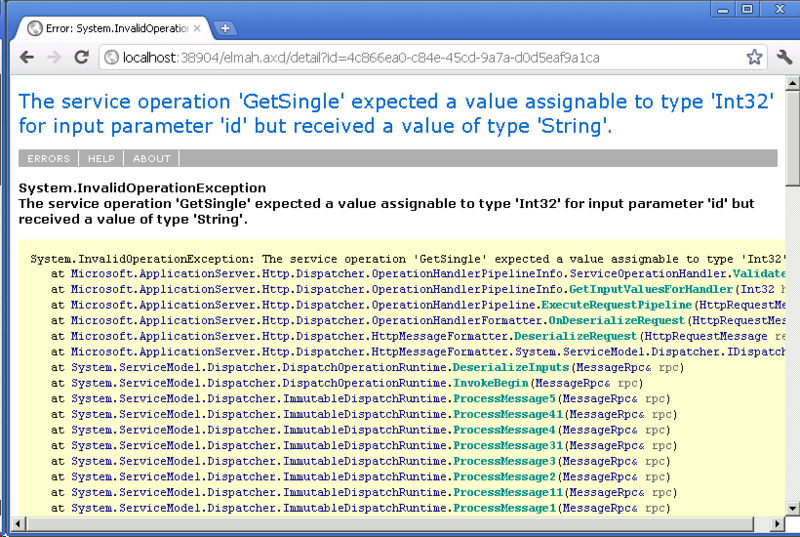 Also, another thing to notice here is we are returning our model by wrapping it up with HttpResponseMessage class. You don’t have to do that. You can just return your object but if you need to add some special headers or response message code, it is nice way to do it that way as we set here our expires header. As I mentioned before, there is no configuration at all in the web.config but we still need to do some configuration to tell the system to figure out what to do. 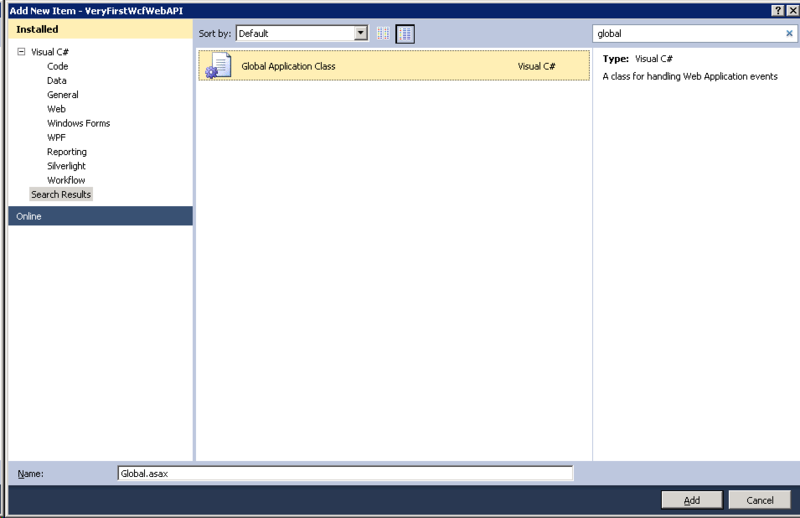 We are initializing the WCF Web API with default configuration. We specifically register our API with a base URL structure as route prefix. As we have folder called People under the root of out application, if you put People as route prefix there, you will see that your API won’t work and you will get 404. I am nearly sure that it is related to routing. I haven’t figured out how to solve this issue and I tried to Ignore that folder but it didn’t work either. This is good for a start. We didn’t suffer much. Now, it is time for us to think of the possible enhancements. This thing made my application tightly-coupled and it is not good. Here I have a static data resource and it is not much of a problem but if we had database related data structure here, this would make it hard for us to unit test our application. In order to get around for this, we need to figure out a way to new up the resource outside of our context and WCF Web API offers really good extensibility point here. I won’t really extend and customize our configuration much here in order to stick with the basics but I will probably blog about that either. The service type provided could not be loaded as a service because it does not have a default (parameter-less) constructor. 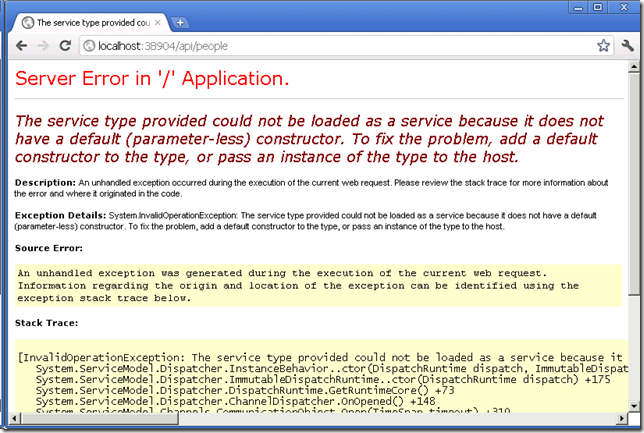 To fix the problem, add a default constructor to the type, or pass an instance of the type to the host. The system needs a parameter-less constructor as default. Let’s see how we get around with this. So nice to do something like that without much effort. There is so much to show but I think this is enough for an intro (which I write on the stage of preview 5, I am little late ). I am sure that you get the idea here.